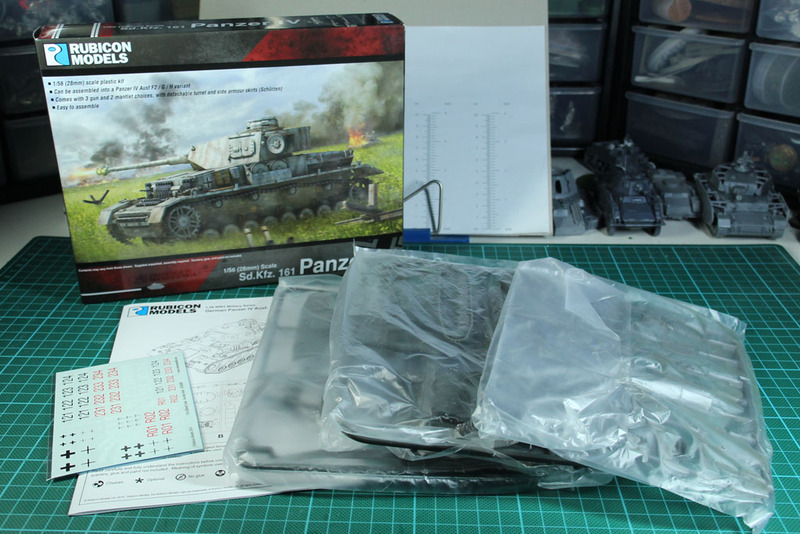 Next up is the Panzer IV, currently available by two companies in 28mm and today we are looking at Rubicon Models version. 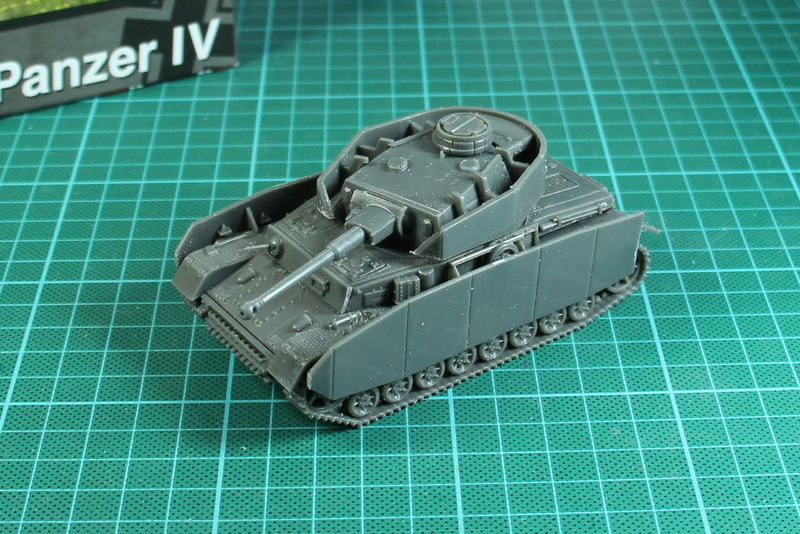 The Panzerkampfwagen IV, or short Panzer IV / SdKfz 161, was one of the work horses of the Wehrmacht. 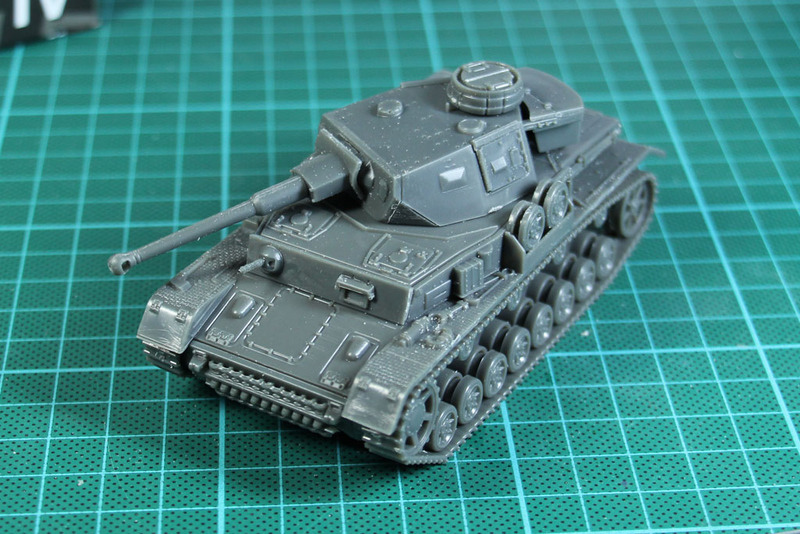 Until the end of the war roughly 8,500 were built and this number made it the most build tank of the german reich. 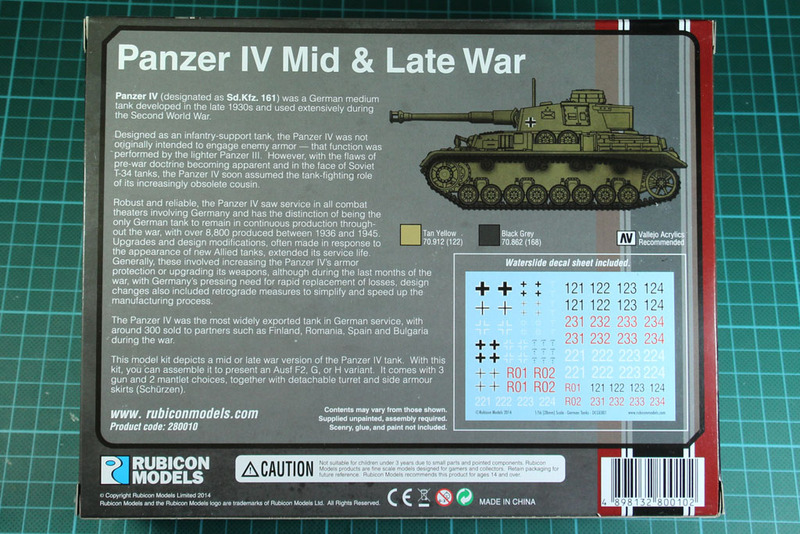 Rubicon Models sets the price for their Panzer IV at 23 Euro, including the variants F2, G and H in one kit. 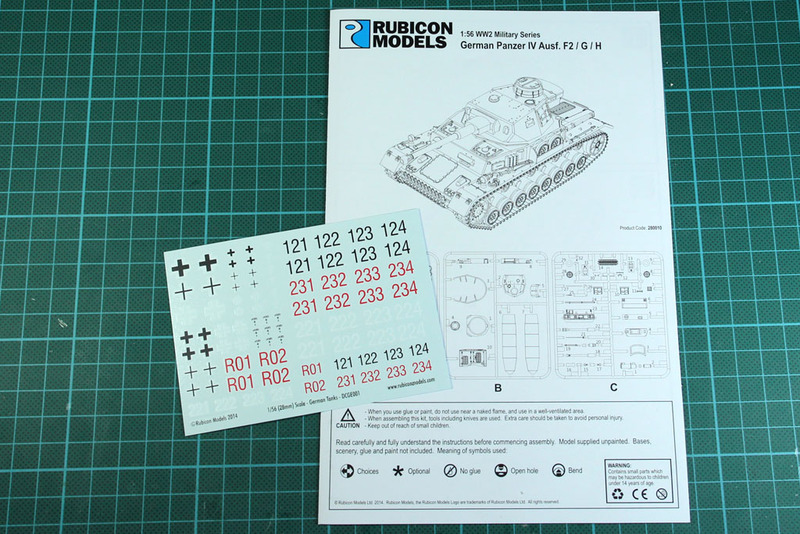 In return you get three sprues, a multipaged instruction and a decal sheet. 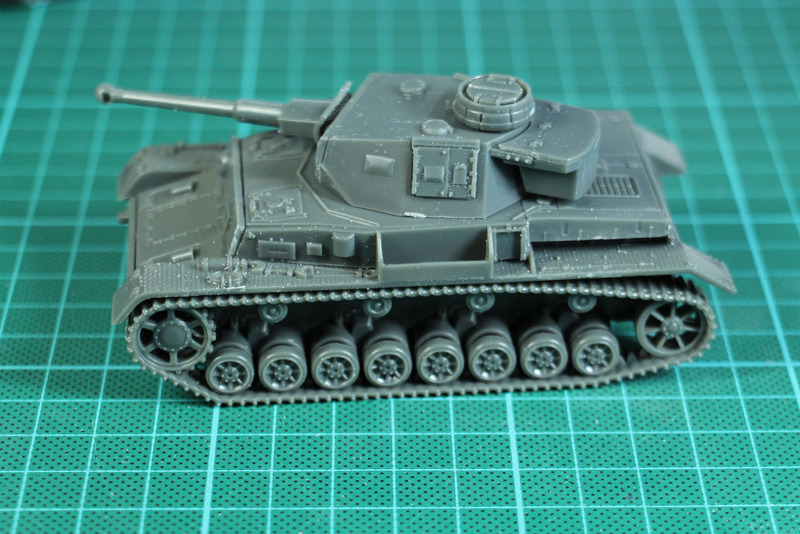 Compared to the other kits that i built from Rubicon, this one has an even smoother / more slippery plastic. 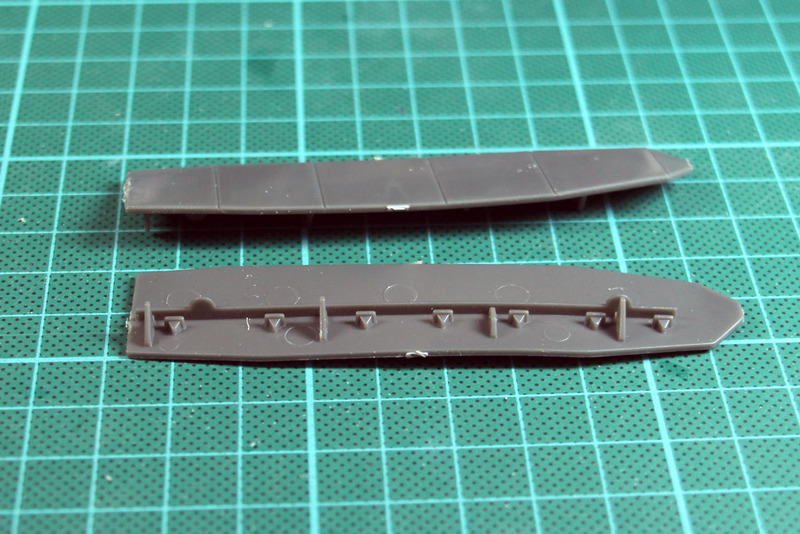 And on top of that, two of the sprues were noticeably warped. 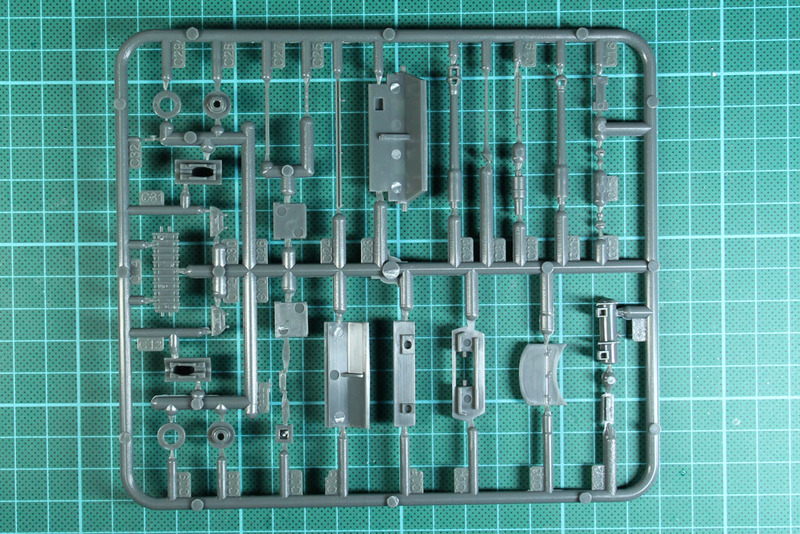 There were even more mold lines than with the earlier releases (compared to the whole first wave). 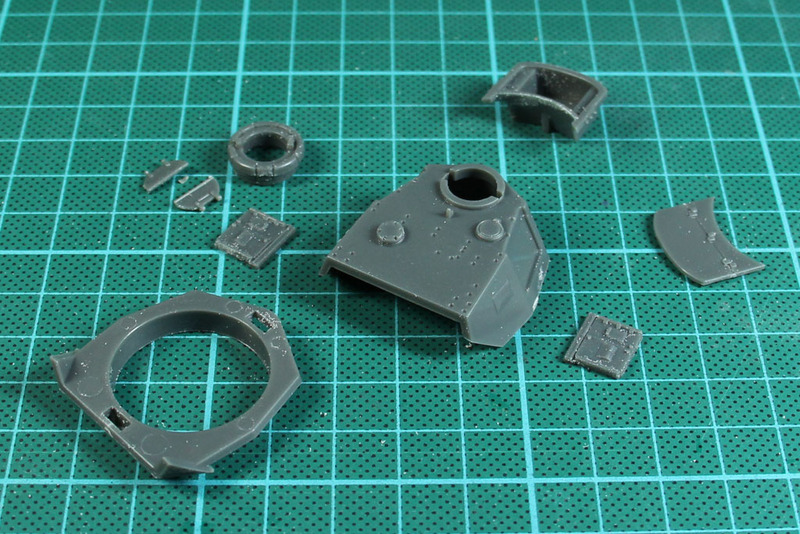 The three sprues cover the different parts for the three different variants, along with additional optional parts for the skirts on the sides and turret. 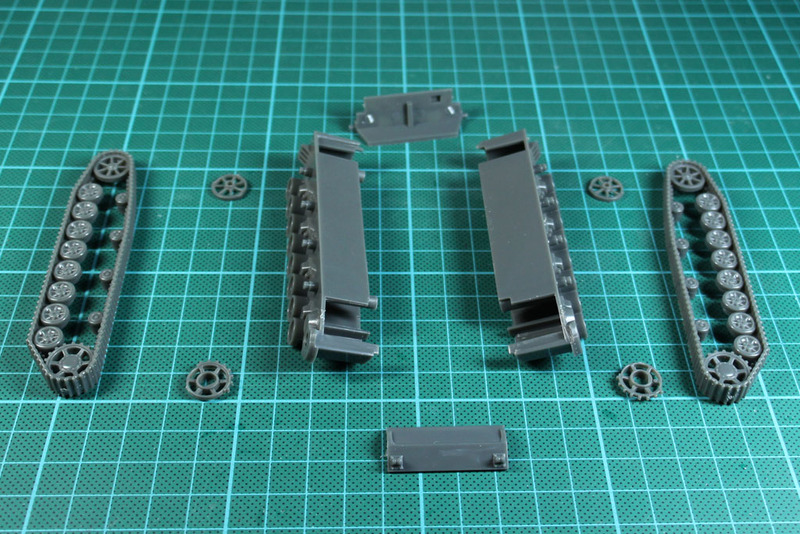 Assembly begins with the track sections, that get mounted to the left and right parts of the hull. 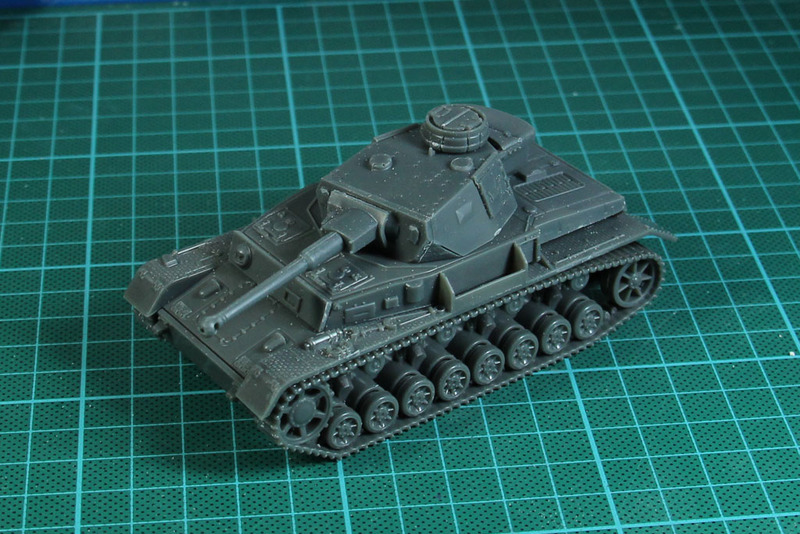 The design is similar to the one of the Panzer III. 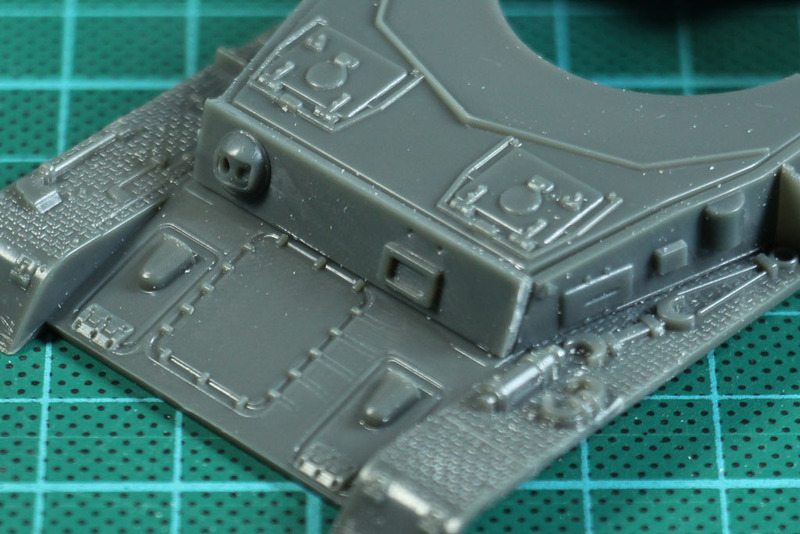 Those steps are done fast, but there is a bit play in the connection between those two halfs, so you have to take a look at this while glueing. 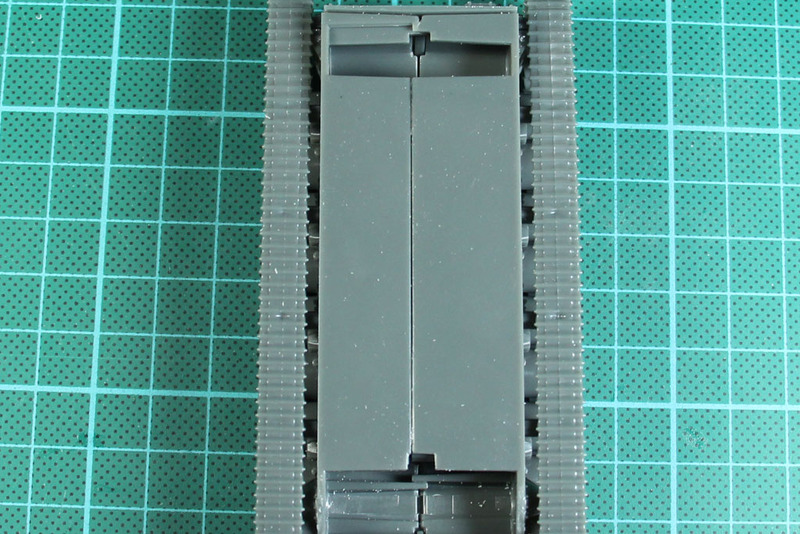 Next is the upper hull, it gets smaller tiles all around, to get more detail. 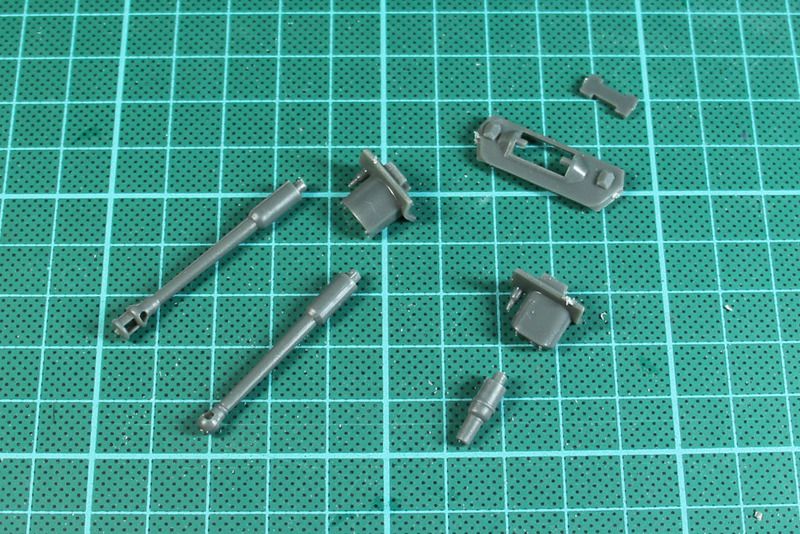 But the fit is not that good with these parts, so you will have some gaps. 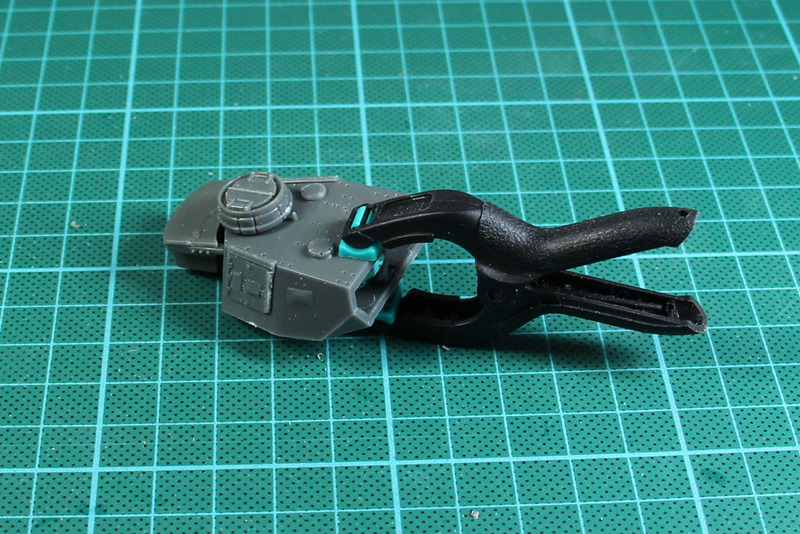 The details look a bit blurry, but you should be able to fix that by painting them with harder highlights. 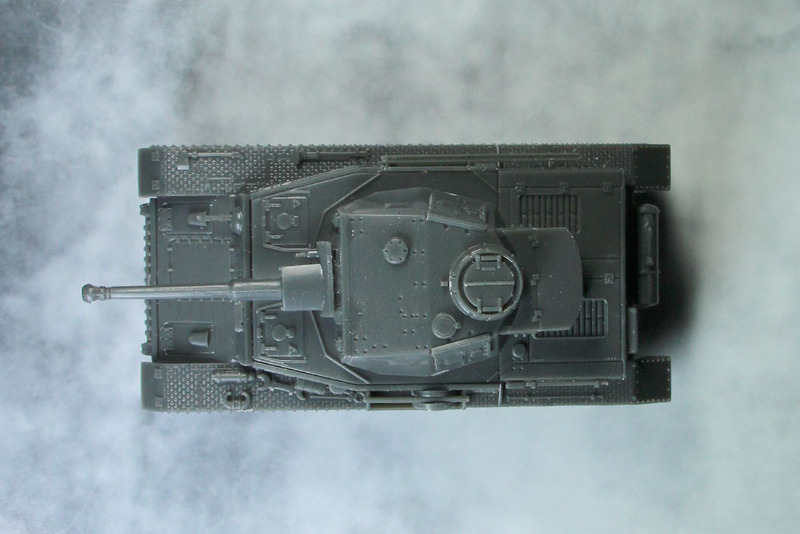 The only missing step is the turret. 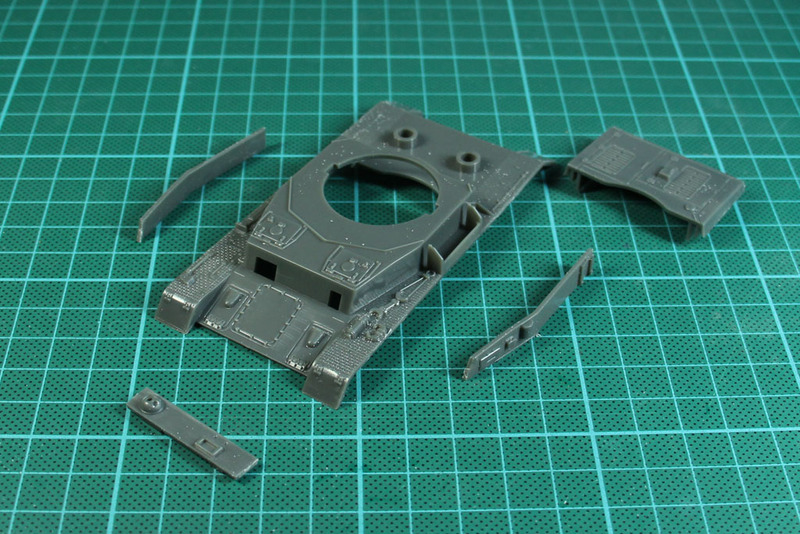 I used a clamp to keep the parts in place, as the connection for glueing isn't the best. 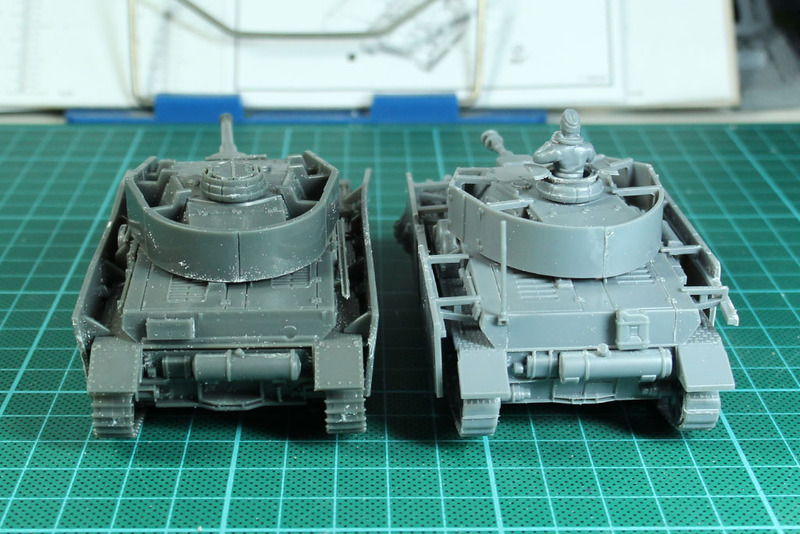 With the variants F2, G and H, you can choose from three different guns 7,5-cm-KwK 37 L/24 (the short howitzer of the F1, which is mistakenly named F2 in this kit), 7,5-cm-KwK 40 L/43 and L/48 (mainly different muzzle brake), as well as the different mantlets. 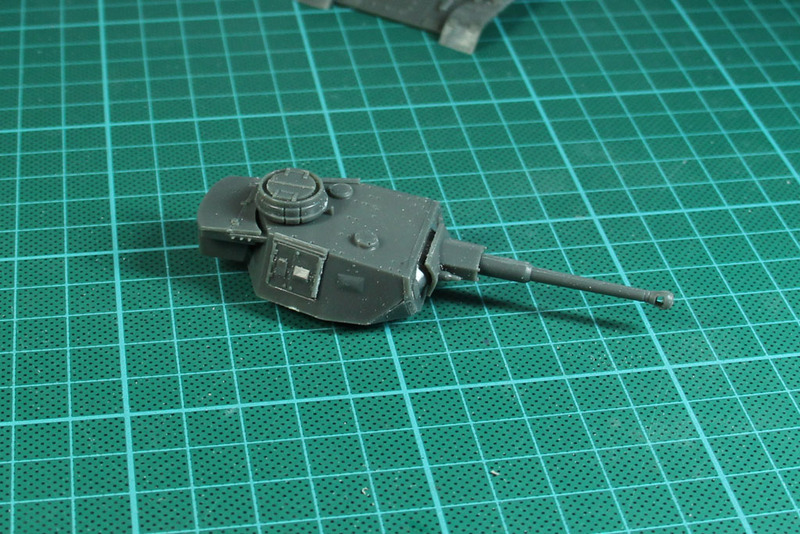 The turret is plugged and beside a few small parts, the assembly is done. 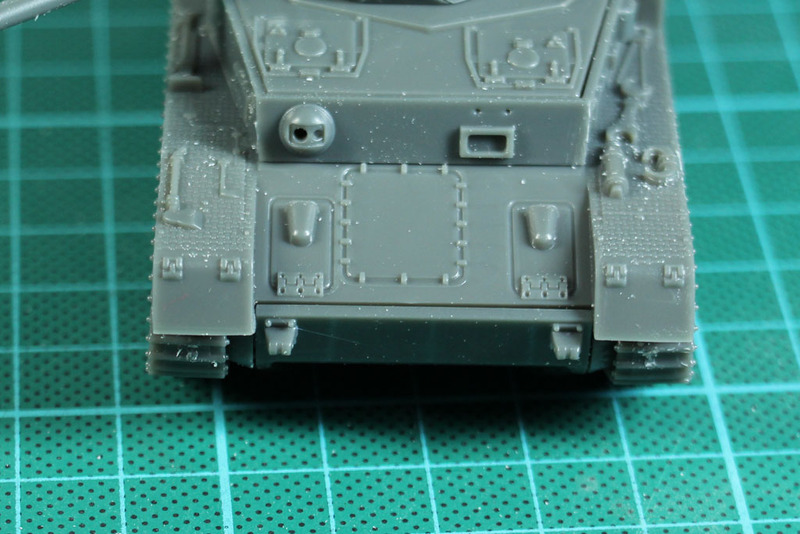 You can spot some gaps and design flaws, here and there, like the lower hull is too long and that shows in a gap at the front plate. 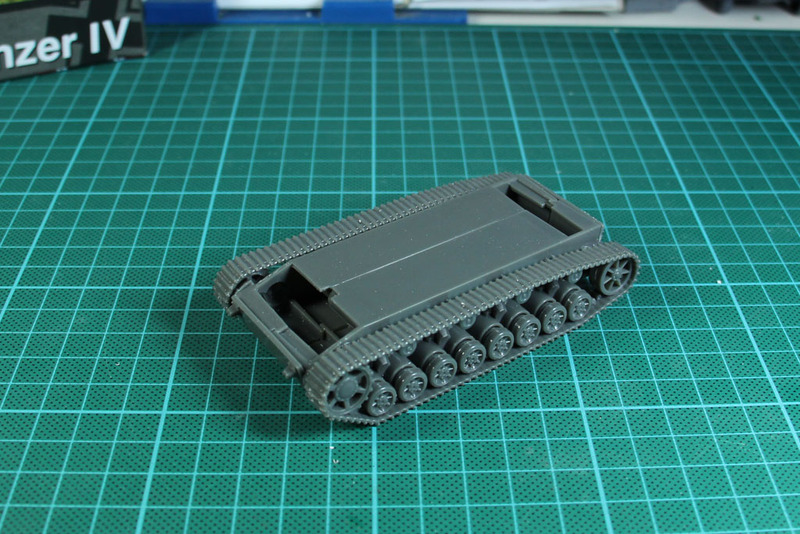 As well as the track guard is a bit low and very close to the tracks. 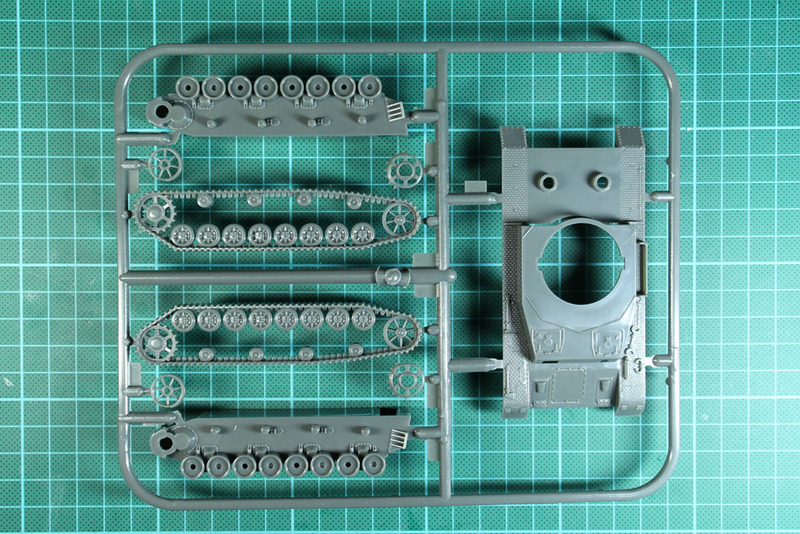 Another bummer were the replacement rollers, that can not be build like instructed. 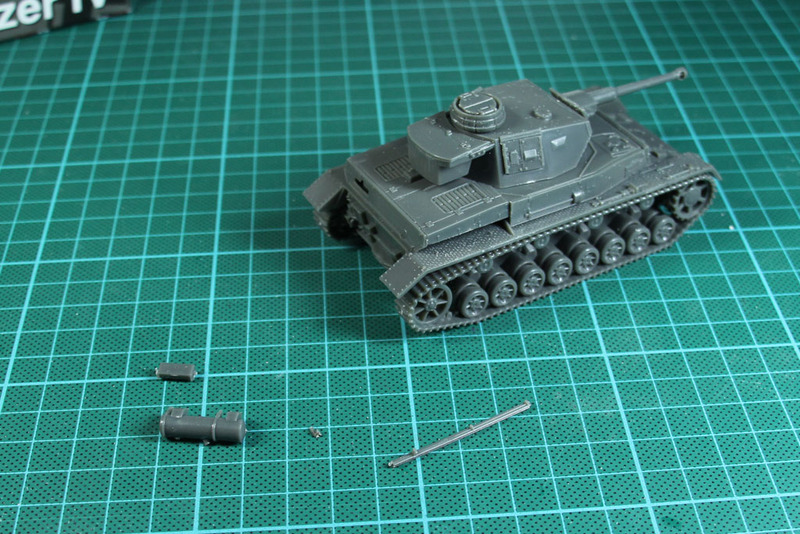 They are too big, so you have do file those parts to get them in place. 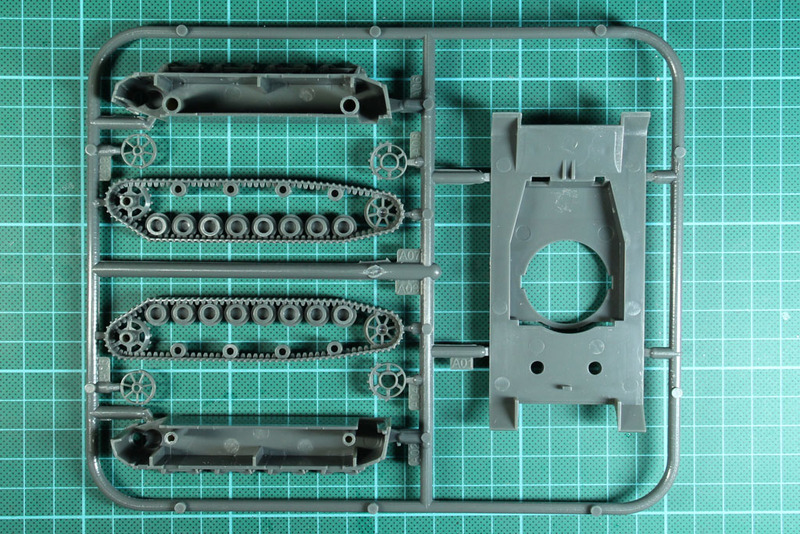 Not rocket science, but unnecessary work. 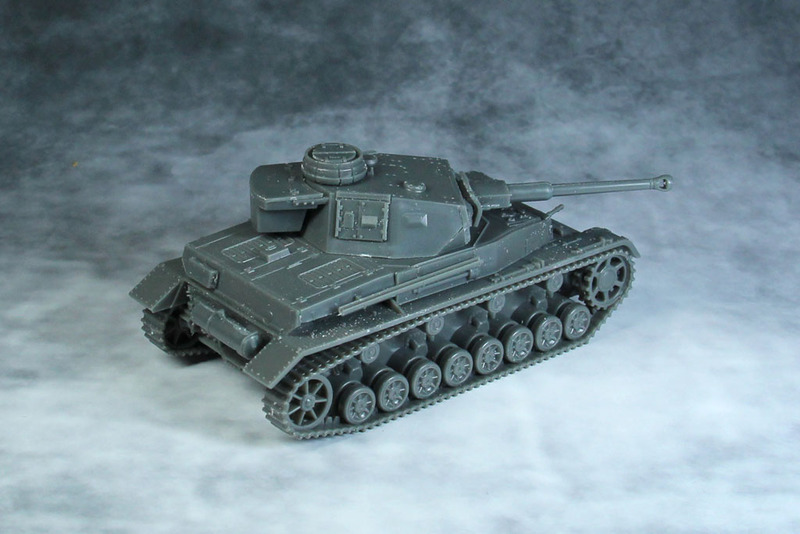 An option with this kit are the skirts, that you already know by the Panzer III kit. 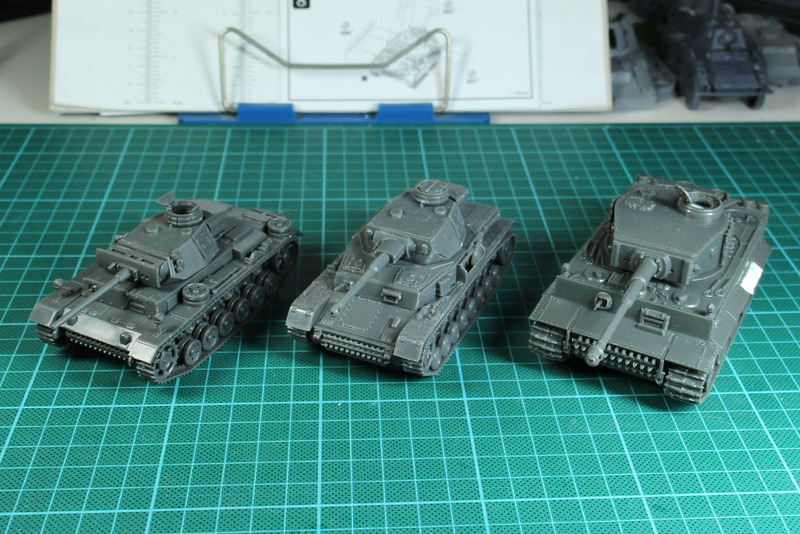 Those just get mounted without glue, so you can keep them optional. 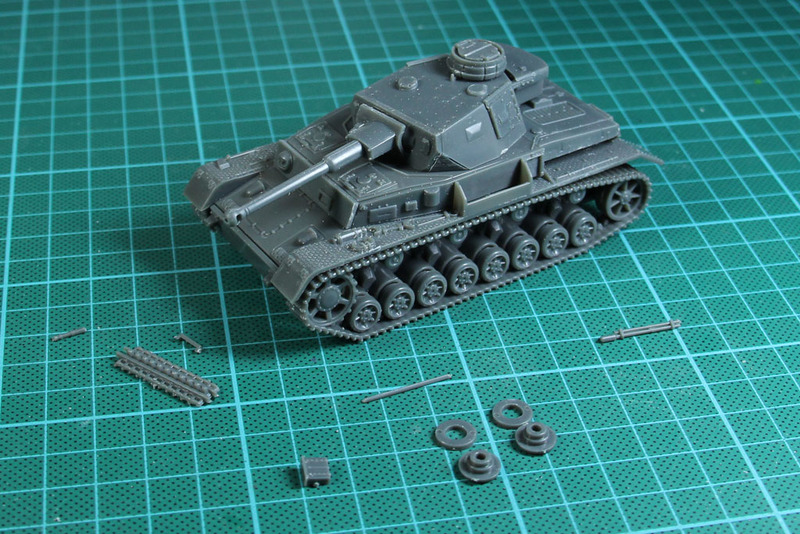 But those parts were so badly warped, as you can see by the second picture, it made no sense to add them to the assembled tank. 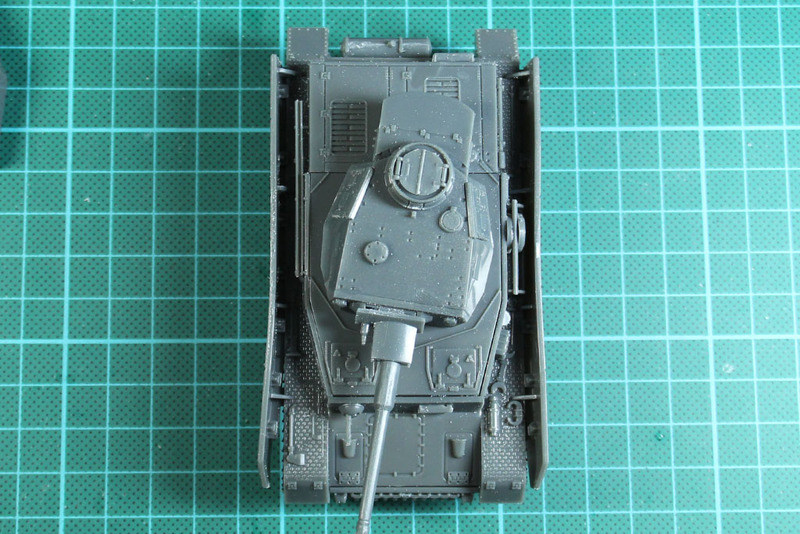 Because if you do, it looks like this and you can clearly see the warped shape. 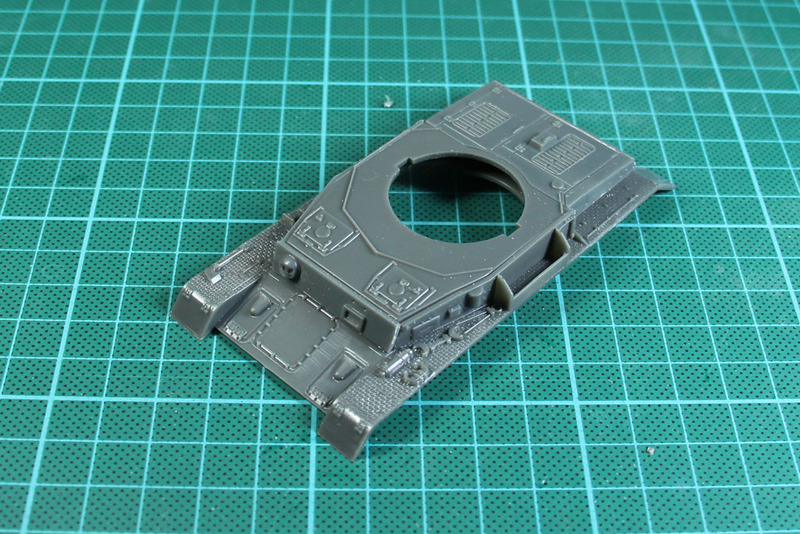 As Rubicon keeps the skirts optional and not glued, the mounting pieces have reduced details and are not historically correct. 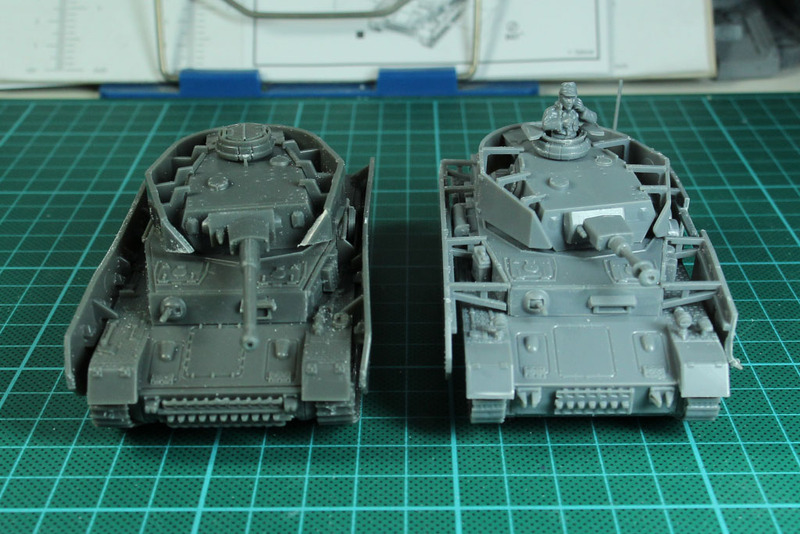 Now a final shot with the relatives, the smaller brother Panzer III and the big brother Tiger I. 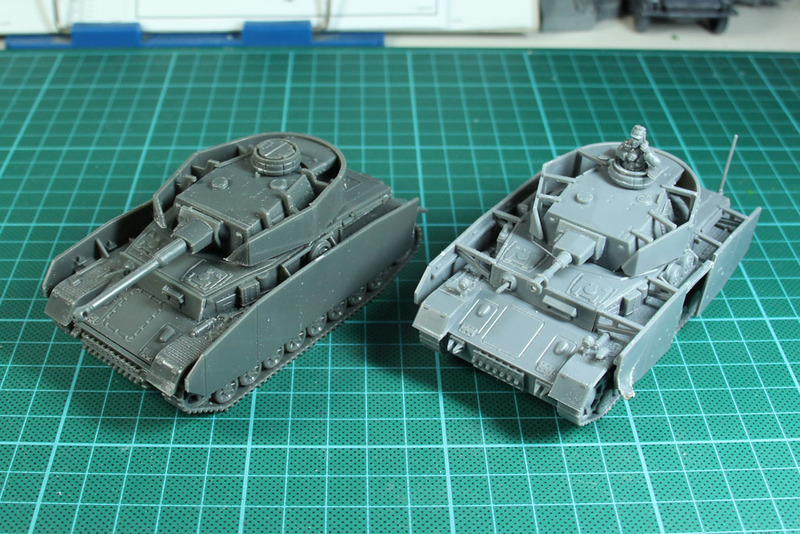 The second row shows the comparison with the plastic kit by Warlord Games. 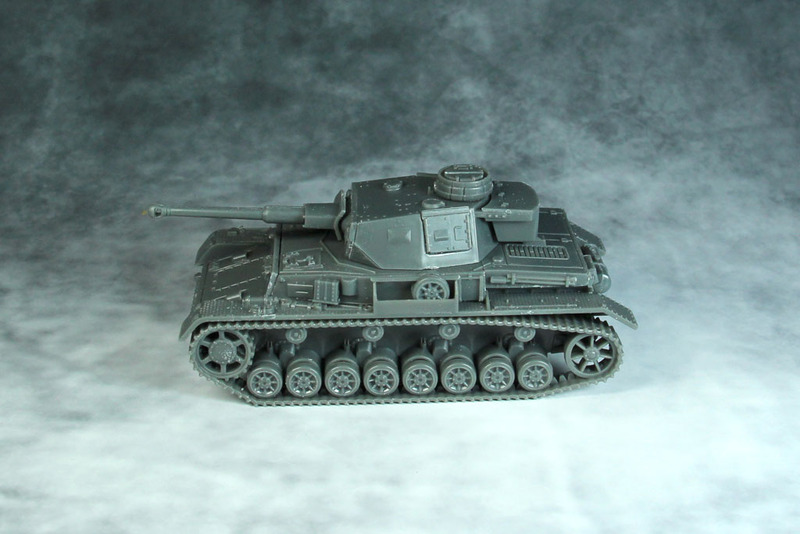 Here and there a differences, by the interpretation of the details, nothing to big (if you take aside the historical mistakes), but in the category of casting quality, Warlord Games is one step ahead. 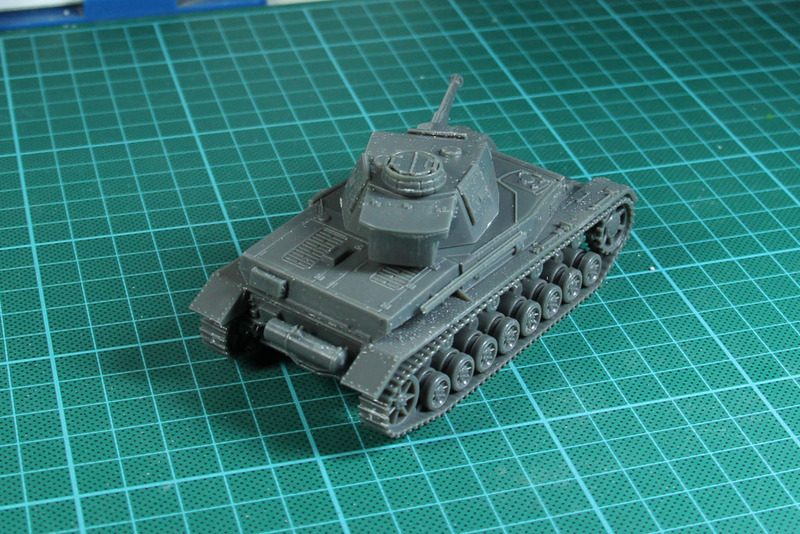 Completely assembled and from different angles, the Rubicon Panzer IV looks like this. 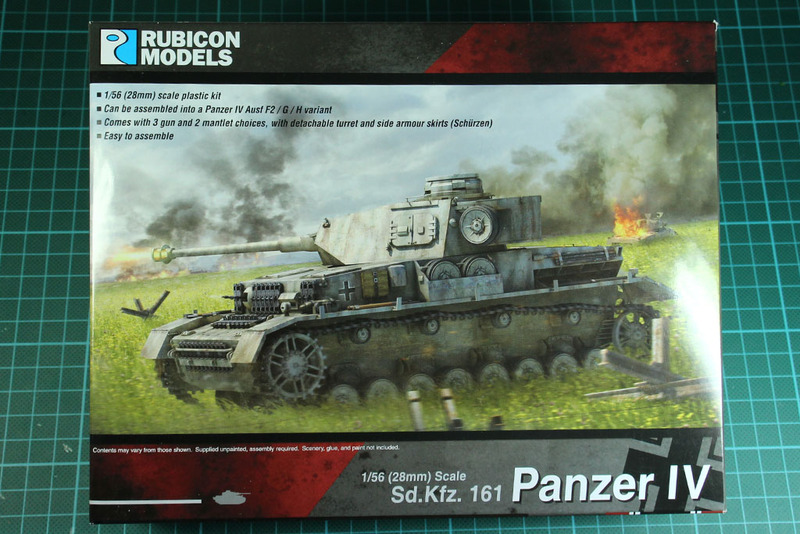 As Rubicon did quite a good job until now, especially with the superb Sherman and an impressive Tiger, the Panzer IV is a disappointment. 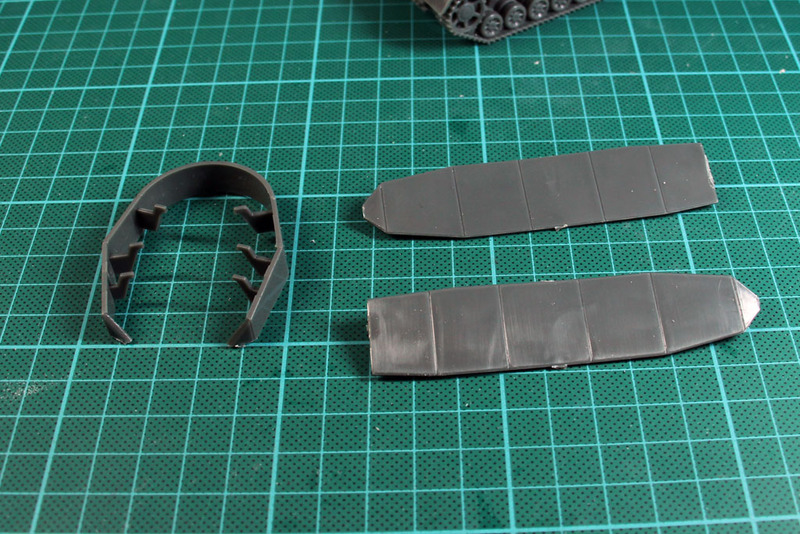 There are the warped parts and the material. 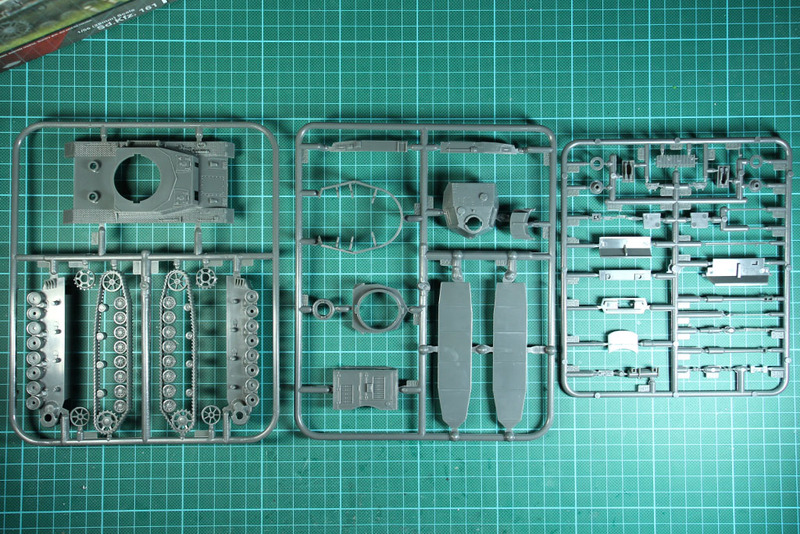 It feels even more greasy than the regular plastic they use and it lacks the fine micro structur that was a nice thing with the first kits. 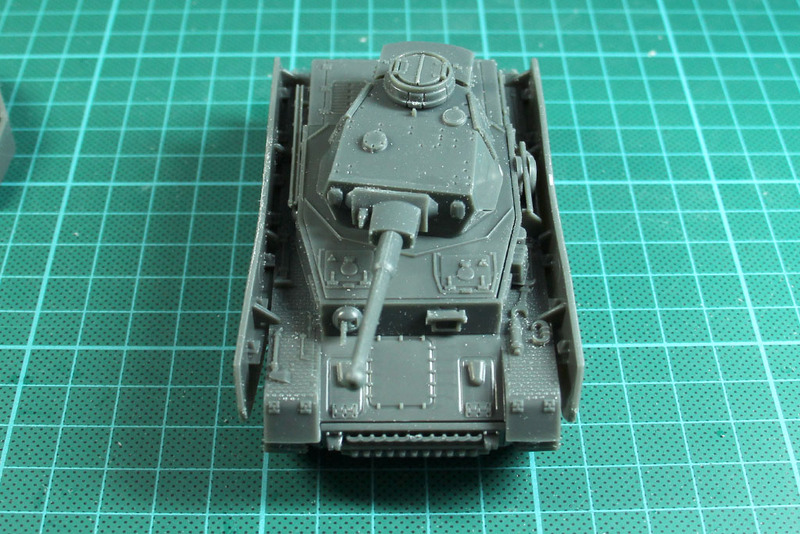 23 Euro isn't to much for a tank in 28mm. 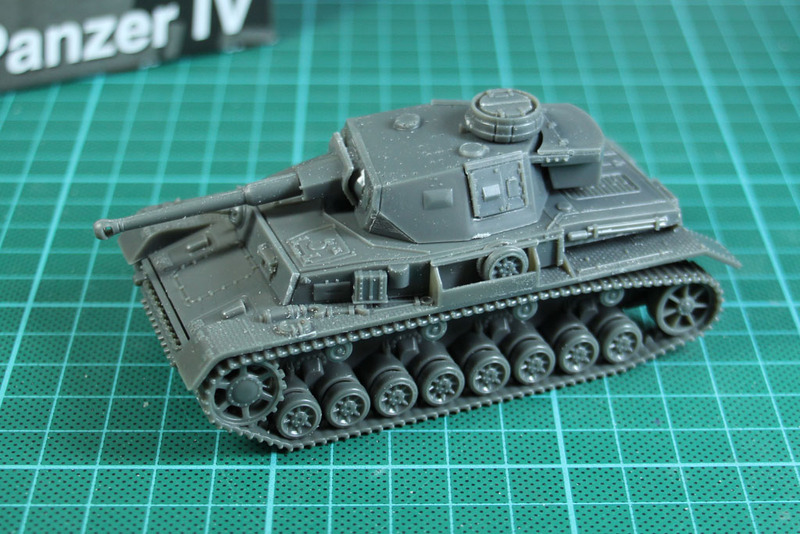 But especially as the Panzer IV is a tank, that you most likely buy more than once, factors like the quality of the fit and casting are important. They do it okay-ish, but that is not enough when you got competition like this.